Guess what? another recommendation by my lovely Mahoshy. A great message not only for young, but for adults, too. Have you ever felt that you are weak in the face of your problems and challenges and that giving up and escaping is your only solution? Most of us went through this feeling in one stage of our lives. It is so hard to feel helpless. 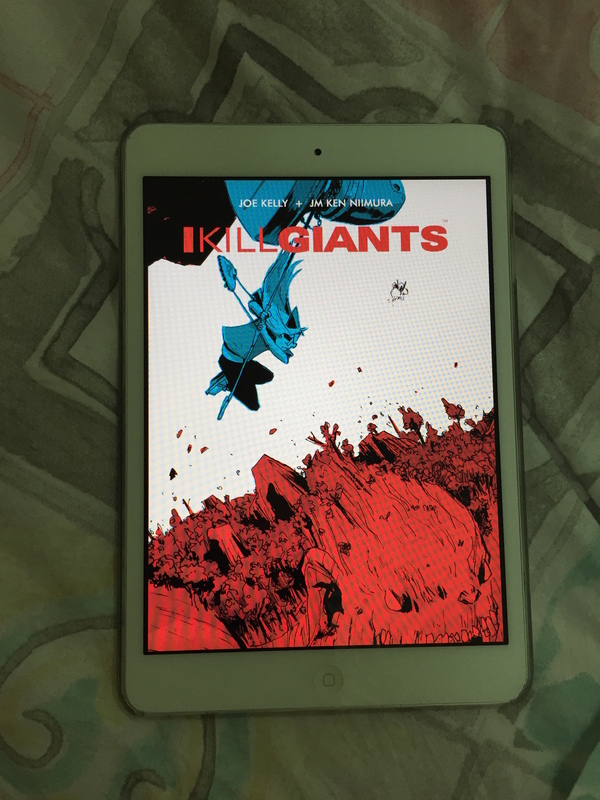 But Kelly in “I kill Giants” tell us that we are up to those challenges and we can if we believe in ourselves to defeat everything…we just have to have faith in ourselves. As for the plot of the book, I was honestly a bit lost in the beginning and hardly manage to get in track with the characters..well maybe because I don’t read many comics. But this does not undermine by any mean the quality of the book.